No carpet is stain-proof! While many retail salespeople may paint a picture that a product is bullet proof and most spills clean up with water, this is not always the case. However, armed with the proper knowledge, proper stain removal solutions a little practice, and a boatload of patience, you should be able to remove the majority of spills before they become permanent stains. If the spill remains for an extended period a spot will likely develop. A spot will remain visible after the spill has dried and may require more time, expertise, and possibly even specialty stain removal solutions to remove. An ordinary soda spill with high sugar content may fall into this category. If not properly removed the sugar will continue to attract soil and the spill will reappear. A red drink spill would be a more difficult spot because these drinks use the same dyes that the carpet industry uses to dye its fiber. These spots may require professional assistance with specialty chemicals if no dealt with immediately. They may develop into a permanent stain. Permanent stains are…well…permanent. These may be stains where color is added to the fiber like iodine or betadine, or they may be stains where color has been stripped, as with bleach or acne medications. In some cases, a carpet cleaning professional may be able to bleach this area devoid of color and re-dye the area. A good re-dye professional can return this area to its original color with little or no visible color difference. Other stains may be removed and might reoccur. Reoccurring stains may be attributed to a number of factors, including the use of detergent solutions that attract soil. Another common reason for re-soiling is wicking. 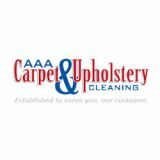 Wicking is the evaporation or drawing up of soil/stains from the base of the carpet tufts or from the carpet backing itself. The recommendations under this heading are a general rule of thumb for most spills. Follow these recommendations carefully and the number of permanent stains that you encounter will be limited. Also see our preventive maintenance section. Reproduced from the carpet buyer’s handbook, visit www.carpetbuyershandbook.com for more great information.